An escape to a fabled, remote corner of the world with a reputation for romance. Our friend, Sana Keller, a travel communications expert, was telling us about her honeymoon in Tahiti. We just had to share her story. For world travelers with backgrounds from opposite parts of the world, Tahiti was the perfect place for our honeymoon. I am from the West Indies and my husband is from Switzerland. 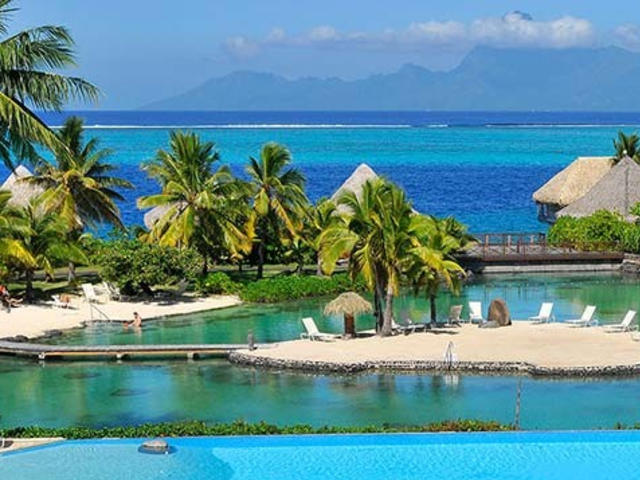 For us, Tahiti was the best of both worlds: an island atmosphere, Polynesian-style, making it delightfully exotic for anyone familiar with the Caribbean lifestyle, with a European flare – 'c’est perfect'! We flew to Los Angeles, and then boarded Air Tahiti Nui for our 8 hr flight. We overnighted in Papeete, the capital city, where the famous artist Paul Gauguin lived for many years. If you're an art lover like I am, you'll understand how extraordinary it feels to follow in the footsteps, and see in real life, scenes immortalized by such a creative genius. 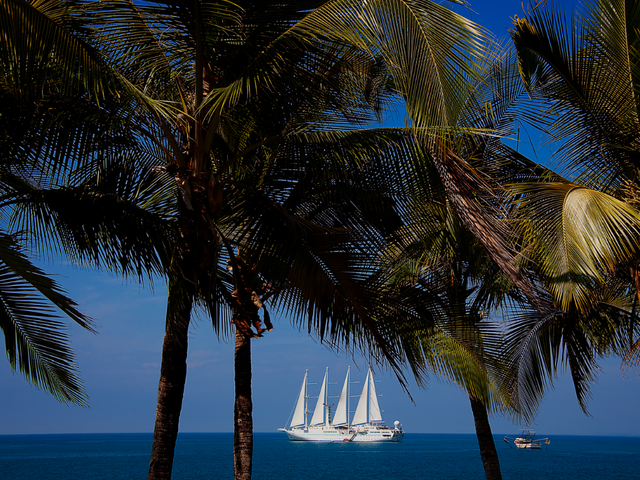 From Papeete, we boarded our 7-day Windstar cruise. The legendary islands of Moorea, the inspiration for South Pacific's mystical Bali Hai; Bora Bora, idyllic Huahine and Raiatea and Tahaa are glorious all on their own. Now imagine them from the deck of a graceful sailing yacht, with the wind in the sails overhead. Imagine a honeymoon of swimming and snorkeling in crystal-clear lagoons, meandering through lush rainforests, and experiencing the fascinating Polynesian culture from tikis to tiare flowers. It's almost a 'pinch yourself to see if you're not dreaming' moment. Following our cruise we stayed in Bora Bora and Moorea for another 5 days and enjoyed unique experiences such as shark feeding, swimming with the giant manta rays, enjoying the native Polynesian culture, visiting a pearl farm and renting a moped to explore Moorea at our own pace. If you like island hopping like we do, Tahiti really delivers. 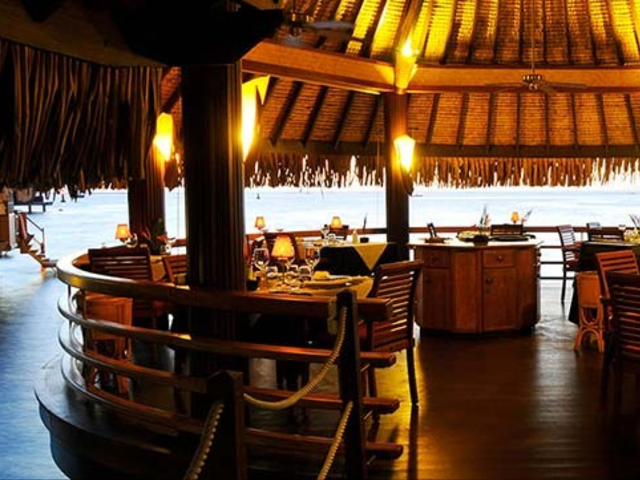 Particularly if you enjoy snorkeling and diving, relaxing on a private yet pristine white sand beach, or simply romancing on the deck of our overwater bungalow with a warm breeze, glistening turquoise sea and a tropical cocktail. And there’s a bonus – being a French Overseas Territory, French Polynesia has outstanding cuisine, in restaurants and on the streets. Familiar sights such as baguettes appear alongside fresh exotic fruit, fish and the intoxicating smell of the tiare flower everywhere. It might be the intense blue of a bewitchingly tranquil lagoon, or a night sky filled with South Pacific stars. Maybe a silhouette of volcanic peaks dramatically lit by a tangerine sunset, or a lunch of fresh fish, exotic fruits and vegetables prepared with a Polynesian influence and a touch of French flair. It doesn't take long for anyone who visits these tropical islands to realize, that yes, this really is paradise. It certainly was on our honeymoon!